When global equipment manufacturer Caterpillar showcased its asphalt compactor with a 360-degree rotating seat at the 2015 Australian Asphalt Pavement Association’s (AAPA) International Flexible Pavements Conference on the Gold Coast, it not only raised the bar in plant safety, but it got people in the national sector thinking about safety in general. 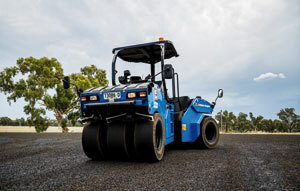 The rotating seat gives the operator better visibility and essentially eliminates the need for rollers to reverse on site – attributes that Fulton Hogan Business Development Manager Gerard Killick identified as transferable to a spray seal roller. 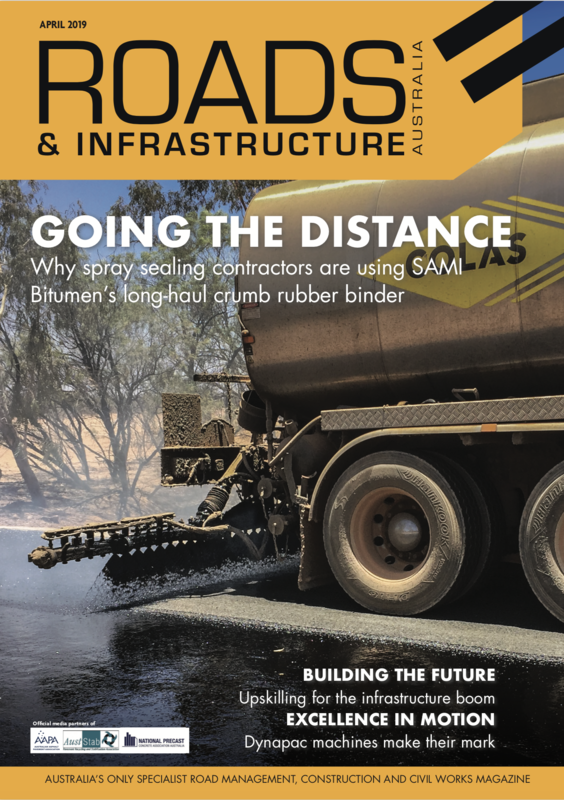 Twenty-five years working in the Australian and New Zealand industry around bitumen, spray seal and asphalt, Mr. Killick is well aware of the safety benefits a roller with a 360-degree rotating seat could bring to a worksite. “On a spray sealing jobsite, we’ve got a sprayer generally with hot bitumen and cover trucks, followed by a fleet of rollers so there’s a lot of reversing vehicles. The rollers are going up and down runs typically of 300 or 400-metres and the trucks are reversing, spreading the material on top of the hot bitumen,” he explains. Mr. Killick engaged with Caterpillar on his desire to eliminate reversing rollers on spray seal sites, and the manufacturer in turn was keen to apply this rotating seat technology for pneumatic tyre rollers. Chris Powell, Asia Pacific Product Marketing Consultant at Caterpillar, says once Mr. Killick approached them following the conference, it set the gears in motion. While 360-degree rotatable seat technology has been employed globally on the manufacturer’s asphalt compactors, Mr. Powell says applying the technology to pneumatic tyre rollers for spray seal applications was harder to integrate for a number of reasons. “Applying it to a traditional pneumatic compactor is very difficult and potentially dangerous as they’re front-axle steered. When you turn it 180 degrees it starts to drive more like a forklift. That’s why the solution we developed was to use an articulated steering system, which pivots at the centre,” Mr. Powell says. Through a series of customer meetings and sessions detailing the technical aspects of the system, the manufacturer and contractor came up with the Cat CW12 Pneumatic Tyre Roller – a first for improving safety on spray seal worksites. The first unit was manufactured mid-2017 and on display at last year’s AAPA International Flexible Pavements Conference. Mr. Powell says as production is now ramping up, and as it enters the Australian market, the safety benefits of the 360-degree rotatable seat are being realised. “We’ve received a lot of feedback from industry, which so far has been very positive,” he says. Mr. Killick was also recognised for his push to get the concept off the ground through the 2017 AAPA National Industry Awards, for which he was awarded the national Safety Initiative Award. The timing of the CW12 launch coincided with VicRoads’ announcement last year to phase out reversing spreaders by 2022 – something that Mr. Powell says shows just how big of a concern reversing plant in general is to industry and the safety of the workers on site. “It’s been encouraging to see a road authority like VicRoads come out and make the announcement they did,” he says. “The risks around reversing rollers has been an issue for some time, particularly with people being so close to plant when the operator is reversing, but also the ergonomics and the health and safety of the operator. In addition to the rotating seat technology, the CW12 is designed to be a quieter machine, including a factory-integrated air-conditioned cab. Mr. Powell says the development of the CW12 is a good example of how manufacturers and the end-users can work towards a common goal, and produce an efficient and safe solution for the industry, together. “We’re approaching other product development in the same way now and trying to do a lot more in this area than we had done previously,” he says, adding that similar outcomes can only be gained through collaboration between both the manufacturer and a product’s end user. Mr. Killick says the CW12 is a massive improvement to spray sealing site operations. “The CW12 offers good coverage, ideal weight and very nice speed control. We believe this will give a quality job and more importantly, a safe job,” he says. “With the 360-degree seat positioning we can face forward in both directions of rolling, meaning nobody’s ever reversing on a site. That just makes us so much safer – there’s comfort for the operator, no-one’s looking over their shoulder – it’s a fresher workforce at the end of the day and a safe workforce,” he says.